I am delighted to be supporting the Veg Power campaign. Did you know that 80 per cent of children (and 95 per cent of teenagers) do not eat enough veg. No wonder we are on the brink of an obesity crisis. 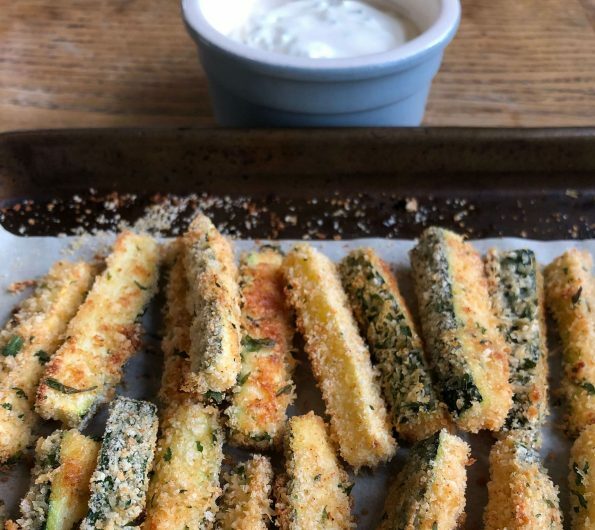 There are lots of different ways of introducing vegetables- here is my recipe for crispy baked courgette fingers with a sour cream and chive dip. Cut the courgettes into chip-like batons. Mix the breadcrumbs, Parmesan, dried parsley, cayenne (if using) and season well with salt and pepper. Dip each courgette baton into the egg, shaking off any excess, then toss in the breadcrumb mix to coat evenly. Lay the courgette fries in a single layer on a lined baking sheet and bake for 10-12 minutes until golden and crispy. Mix together the soured cream and chives and season with salt and pepper. Serve immediately, with the soured cream dip on the side.